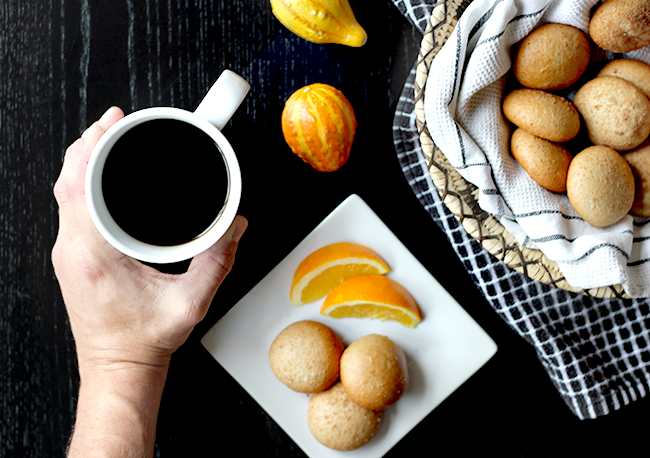 Thank you NANCY’s Petite Stuffed Bagels for sponsoring this post. 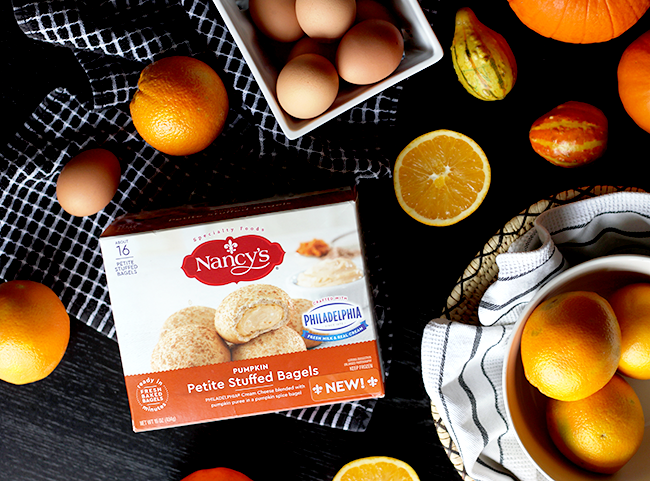 Brunching at home just got easier and more delicious with the launch of NANCY’s Petite Stuffed Bagels! In our house, Sunday brunch is something we look forward to all week. It's the one day where (usually) neither Robbie nor I are working, when we can all be together for a few minutes during the late morning and take things a little more slowly than the rest of the week. Robbie is our house chef, if we're being honest here, but I absolutely love making brunch. That said, I admittedly don't have the time to make many meals in general, much less an elaborate spread of brunch-worthy dishes that take hours to prepare - even on our "slow" days. So I need to get creative and come up with ways to make brunch easy and non time consuming, without sacrificing the experience or quality level. 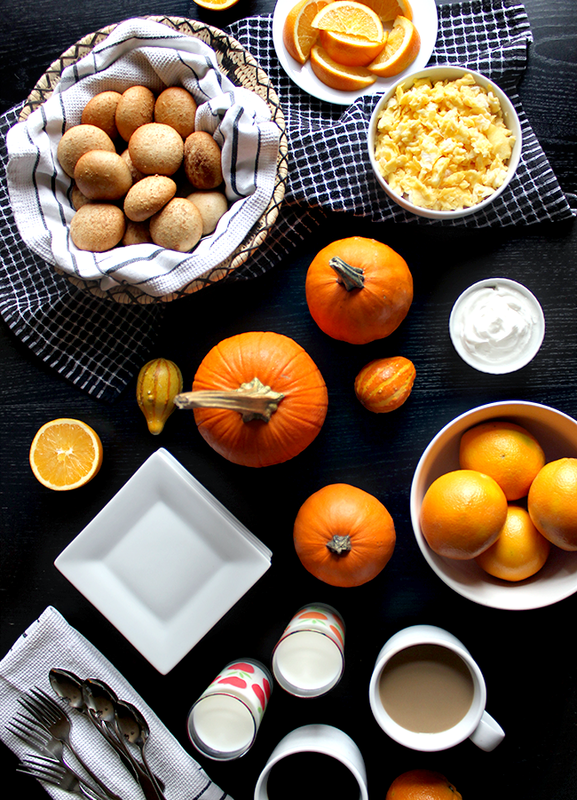 Today I thought I'd share with you all one of my go-tos for a simple but incredibly delicious fall inspired Sunday brunch that my whole family loves. 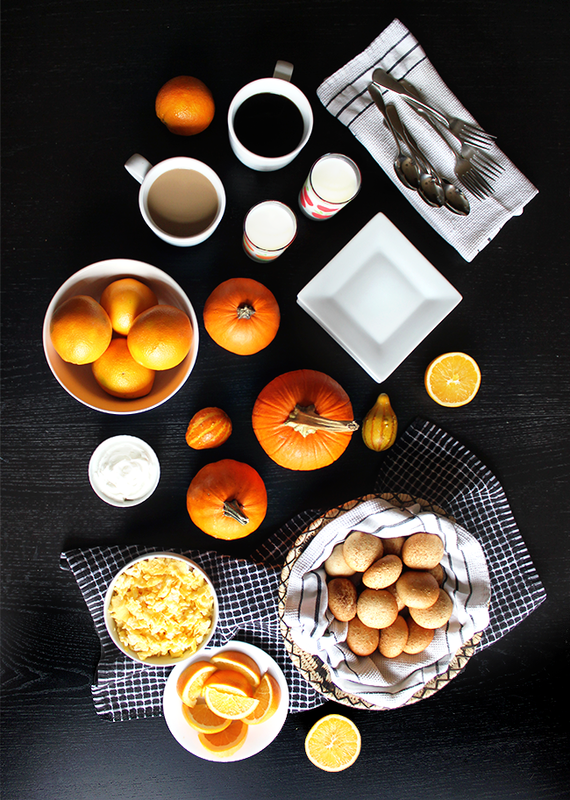 I serve this same brunch when I have overnight guests during the fall and holiday season as well. It's a winner. 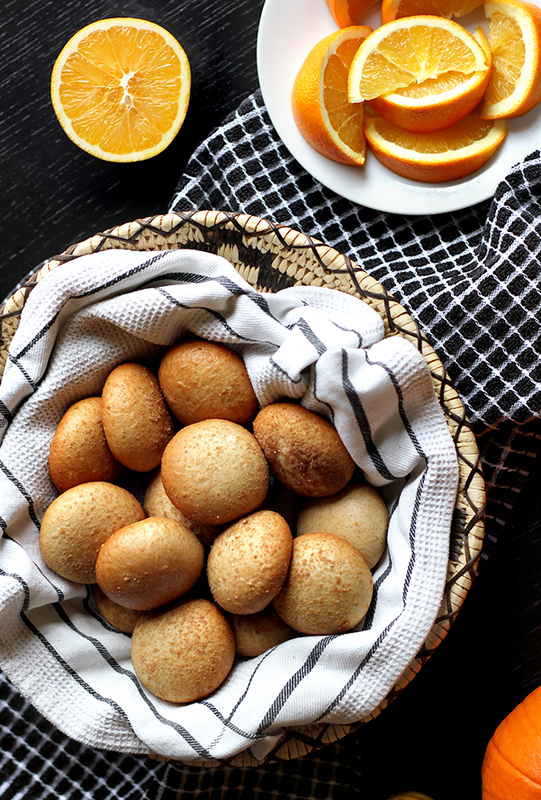 This autumn themed brunch can take anywhere from 10 minutes to a half hour to prepare (depending on whether I bake or microwave the NANCY's Pumpkin Petite Stuffed Bagels), but either way, it's by far the quickest brunch I make. If I'm baking the NANCY's Bagels, I preheat the oven, then get started on the eggs. If I'm microwaving them, I wait until the eggs are done and toss them in the microwave. For the eggs, I just scramble 6-8 of them, add a few dashes of salt, and serve them in a medium sized bowl. Next I cut up orange or Clementine slices. Finally, I put some plain Greek yogurt in a small serving bowl for people to eat on the side. 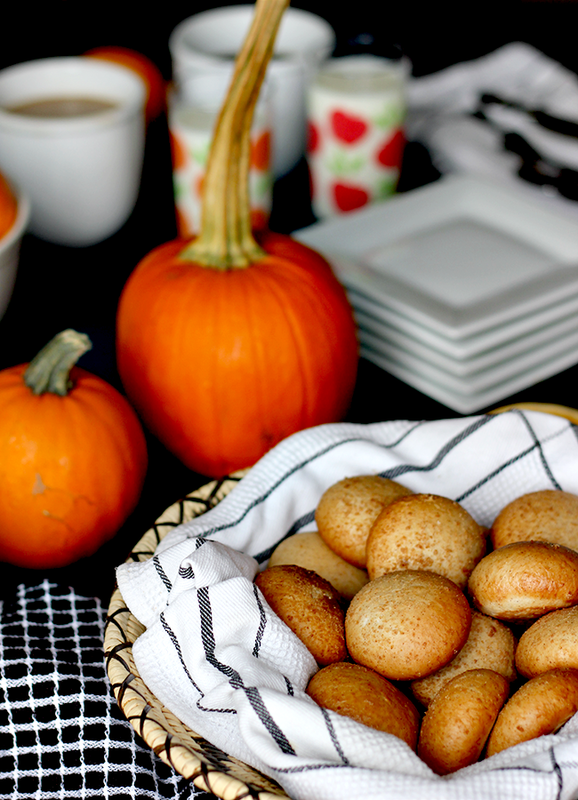 I place the NANCY's Bagels in a basket with a tea towel, arrange everything on the table with some pretty mini pumpkins and gourds (this is an effortless way to liven up your table this time of year! 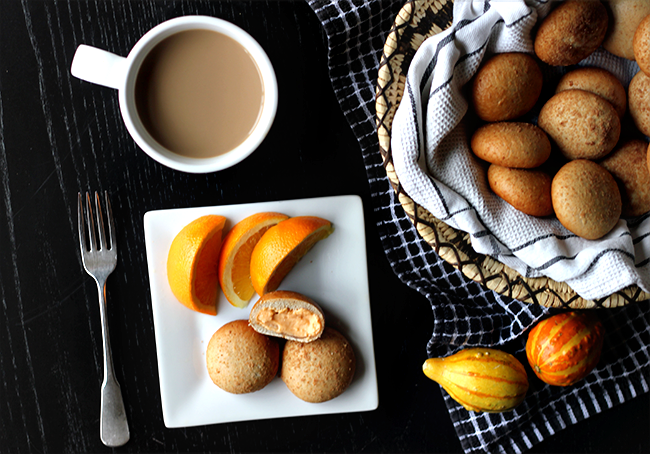 ), pour coffees, juice, and milk or almond milk, and brunch is served. Clean up is quick and painless too. 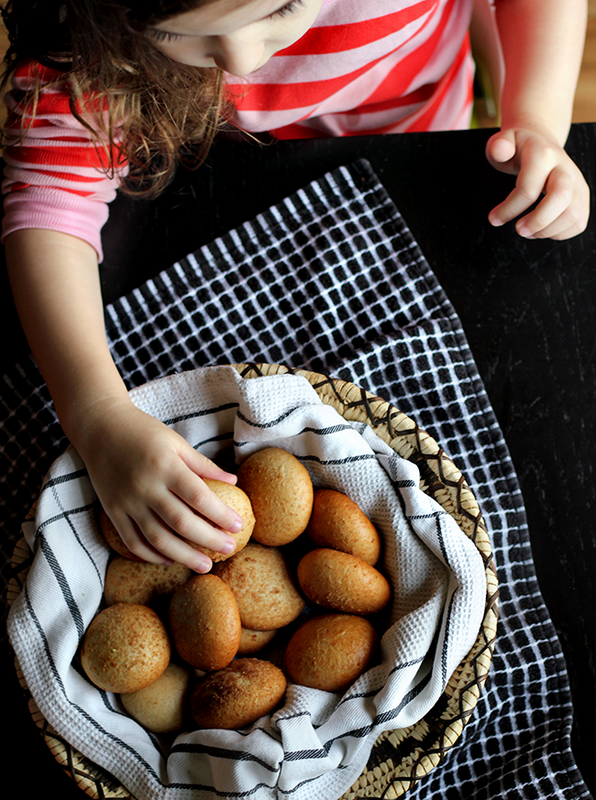 Everyone adores this brunch, and I adore doing something special for my family that we can all enjoy together - something that is fun instead of feeling like work. There's nothing better. If you're a Sunday brunch fan like I am and have any tips for simplifying or favorite dishes you serve, I'd love to hear! This is such a pretty spread and now I have to try nancy's bagels, I love sweet cream cheese!